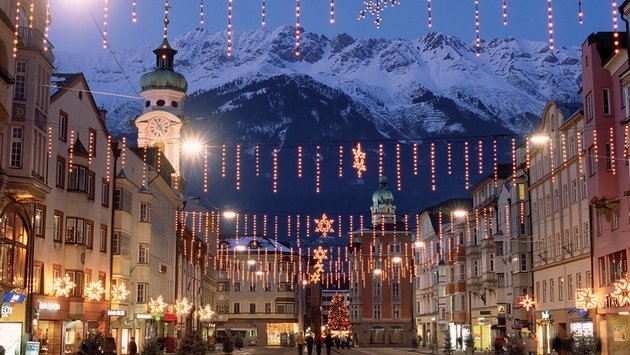 PHOTO: Innsbruck is different from any other Alpine resort area because it’s truly a city. Photo courtesy Innsbruck Tourist Board. Before long, ski season in the Northern Hemisphere will be upon us as American skiers make their annual choice between the Rockies and the Alps (as well as the Dolomites, the Carpathians and the Pyrenees). While skiing in America has its devotees, skiing is a rite of passage in Europe, where the sport seems as much a second nature as soccer. The coming 2014-2015 ski season marks the 150th anniversary of winter tourism in the Alps, which began with a famous bet in St. Moritz. During the 1860s, St. Moritz became a favorite summer destination of British travelers seeking the fresh air of the Engadin Alps. In the fall of 1864, Johannes Badrutt made a bet with several of his English summer guests saying that he would pay all of their travel expenses if they came to his hotel in the winter and didn’t enjoy themselves. They came, they enjoyed and Badrutt won the bet. The first Alpine winter tourist season was born. It wasn’t long before downhill skiing was the centerpiece activity of Alpine tourism. 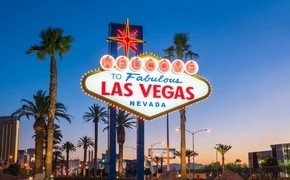 The 10 most popular resorts according to Frasca are Chamonix, Zermatt, St. Anton, Innsbruck, St Moritz, Cervinia, Kitzbühel, Val d’Isère, Cortina and Meribel. PHOTO: The Club Med Val Thorens is the latest Alpine resort from Club Med, which has been building them since 1956. Some 59.7 million international skiers flocked to the glamor of such French ski resorts as Chamonix, Courchevel, Val d’Isère and Val Thorens last year. The heights of the French Alps are so lofty that some areas offer skiing from mid-November to mid-May. For almost a century, France has been honing its ski resources and today it’s the world’s most popular ski country, according to Mountain Planet, an industry-leading tradeshow for skiing and other mountain activities. Club Med opened its first ski resort in 1956 and now operates 23 all-inclusive European ski resorts, 21 of them in France. According to the resort company, the total cost of a seven-night ski trip to Aspen from New York — including flights, transfers, lunch and dinner, alcoholic and nonalcoholic beverages, a six-day lift ticket, ski or snowboard lessons and tipping — is a total of $4,140 per person, while the same package at Club Med Val d’Isere would cost $3,199 per person. 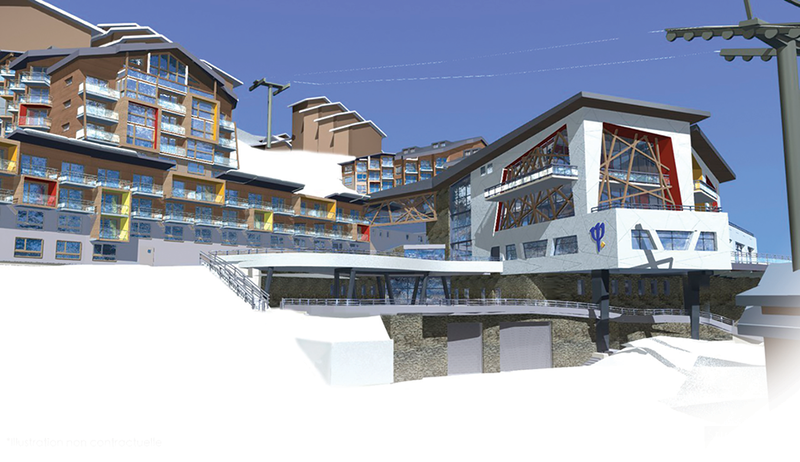 Club Med will add another resort this December, this one in Val Thorens, the highest ski resort in the French Alps. Club Med is also adding a Paris three-, four- or five-night city stop option for skiers booking one of their French resorts. Under the plan, Club Med will arrange the intra-European flights, the hotel bookings and the transfers. PHOTO: Making a cut at St. Moritz, where Alpine tourism was invented almost 150 years ago. Last December, several new properties opened, bringing a more modern and international spirit to Swiss skiing. Among the new hotels were Andermatt’s Hotel Chedi (www.thechedi-andermatt.com), with its modern interpretation of a traditional chalet style; the Davos InterContinental (www.stillipark.ch), encased in a bronze-toned metal shell; and, in Verbier, the first Swiss W (www.wverbier.com/en). New this year, Gstaad’s Le Grand Bellevue (www.bellevue-gstaad.com) will reopen after a thorough renovation and the creation of a more relaxed atmosphere designed to target a new generation of luxury travelers. In 2016, 51 Degrees will open as a high-end boutique hotel in the town of Leukerbad. 51 Degrees (www.51degrees.ch/en) is designed as a series of interconnected five-story wings: two of them house 53 condominiums, and the others housing a 72-key boutique hotel and a 20,000-square-foot luxury spa on the lower level. In addition to the hotel restaurant, the resort includes a semi-detached pavilion for a restaurant to be operated by a signature chef. In Champery, the 27-room Le White (www.lewhite.ch/eng) opened this summer near the ski slopes of Champéry les Crosets and is connected with the Domaine des Portes du Soleil via the Champéry-Planachaux cable car. To mark the 150th anniversary of Johannes Badrutt’s bet, the Badrutt’s Palace Hotel is offering its guests a ski pass for the whole St. Moritz region for stays of two or more consecutive nights. Skiers in Italy choose between the Italian Alps in such resorts as Courmayeur, Breuil-Cervinia and Pila or the Dolomites, with such resorts as Cortina d’Ampezzo, Val Gardena, Kronplatz, Alta Badia and Val di Fassa. Marmolada is the highest peak of all the Dolomites, reaching a height of 3,342 meters (10,965 feet), and provides some of the most spectacular skiing experiences on earth. Last year, Club Med opened Pragelato Vialattea, featuring ski-in, ski-out access to the second-largest ski domain in Europe. Located in the Piedmont region in the Italian Alps, 55 miles from Turin, Pragelato Vialattea features clusters of chalets. Guests of the all-inclusive Pragelato Vialattea even have ski lift tickets included. The resort features three restaurants and a full open bar with premium alcoholic and nonalcoholic beverages, as well as nightly entertainment. The new resort has a partnership with the Italian Ski School. It was in the Austrian Tirol that Hannes Schneider, almost 100 years ago, fashioned the first skis from a sledge maker’s scraps and a sieve that he nailed on to the runners as a binding. Schneider subsequently turned the Arlberg region into an international center of skiing. After his migration to the U.S. (1938), he founded the ski center of North Conway in New Hampshire. The Tirol (www.visittirol.com) features Innsbruck, St. Anton, Kitzbühel, and the ötz Valley, all great ski destinations. Innsbruck (www.innsbruck.info) is different than any other Alpine resort because it’s really a city in the Alps. It was a favorite residence of the Hapsburgs (Innsbruck and Vienna are Austria’s only two Imperial cities). It also can be combined with Munich and Verona. From Innsbruck it’s actually easier to get to those cities than to Vienna. Kitzbühel is known for its Tyrolean medieval village and, of course, great skiing. The beauty of the village makes it extremely viable for couples who are traveling with non-skiing spouses. It’s especially beautiful during Advent. The big business that Alpine skiing has become is leading to competition from other regions in Europe. Last November, the first World Ski Awards were handed out. The following resorts were selected as the best in Europe, country by country: Andorra, Vallnord; Austria, Kitzbühel; Bulgaria, Bansko; Finland, Ruka; France, Val Thorens; Germany, Garmisch-Partenkirchen, Italy, Cortina d’Ampezzo; Norway, Trysil; Russia, Rosa Khutor; Slovenia, Kranjska Gora; Sweden, åre; and Switzerland, LAAX.